Note: ALL borrowers must have completed the 2018-2019 FAFSA and have submitted any other documentation requested by the Financial Aid Office. Your financial aid file must be complete before a student loan will be reviewed. Don't qualify for grants or scholarships? You can also apply for a Federal Student Loan. Download the application at the link below, complete steps 1, 2, and 3 online, and return the loan application with your loan history attached (step 3) to the financial aid office for processing. *Please do not leave anything blank and be sure to sign and date the bottom. 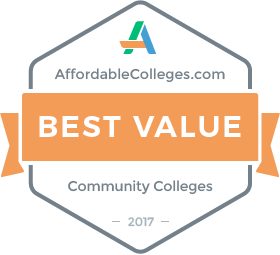 Required each academic year for borrowers at East Central Community College. The Direct Loan Master Promissory Note (MPN) is a multi-year promissory note that student borrowers must use when applying for the Federal Direct Stafford Loan. You will need to click on "Financial Aid Review," print your loan history, and attach it to the loan application. NOTE: If you've never had a loan before, you will see a statement that says, "Your identifiers were not found in the NSLDS." If so, please "right click" and print the screen. Please do not leave anything blank and be sure to sign and date the bottom. On July 6, 2012, the Moving Ahead for Progress in the 21st Century Act (MAP-21) was enacted. MAP-21 added a new provision to the Direct Loan statutory requirements that limits a first-time borrower's eligibility for Direct Subsidized Loans to a period not to exceed 150 percent of the length of the borrower’s educational program. Only first-time borrowers on or after July 1, 2013 are subject to the new provision. -Required for Federal Stafford Loan borrowers at East Central Community College who graduate, withdraw, or leave school.